The V. Rev. Fr. Peter Gillquist, Chair of the Antiochian Archdiocese Department of Missions and Evangelism and the publisher of AGAIN, was interviewed by the magazine for their thirtieth anniversary issue. AGAIN: Fr. Peter, tell us what things looked like back in 1978. What was going on in terms of the early Evangelical Orthodox Church? Who were the early leaders? Give us a feeling for what life was like back in those exciting days. How much of this was hype and how much was a genuine movement of the Holy Spirit? FP: Well, as far as we were concerned, the whole thing was very genuine. After having served together with people like Fr. Richard Ballew, Fr. Jon Braun, Fr. Jack Sparks, and Fr. Gordon Walker in Campus Crusade during the sixties, at the beginning of the seventies we began to try to find what we called the New Testament Church. In other words, knowing that we needed to be church and not just parachurch or independent, we began a study through history to try to find where that New Testament Church went. By ’78 we were pretty convinced that that Church was the Holy Orthodox Church—the church Rome had left in the eleventh century. Historically it was very clear to us that the Orthodox Church was that Church we read about in the pages of the New Testament. By 1978 we had formed an order called the New Covenant Apostolic Order, which was a base of fellowship and a working relationship between those of us who were on this pilgrimage. At first we had tried not to be a denomination because we knew the world didn’t need another denomination, so we settled for an order. By ’78 a number of other men and women had joined us who did not have our common background in Campus Crusade but had the common yearning to find the New Testament Church. AGAIN: Do you ever miss those early days, the fervor and excitement? FP: You know, I don’t. We sure had some great times both in Campus Crusade and in the early days of what became the Evangelical Orthodox Church, but those were also days of frustration. All of us were highly committed to evangelism, and yet in being on the pilgrimage we would change, we would accommodate what we were doing to make sure it was consistent with the historic Church, which meant we were in a fairly regular state of flux. It was almost impossible to invite new people on board with us because all we could guarantee them was that ultimately we would be part of the One Holy Catholic and Apostolic Church. But because of the flux it was very difficult to ask them to make a commitment to go on that journey with us. So the seventies really were a decade where we didn’t do a lot of evangelism, but mainly did our study of church history to find the fullness of that New Testament faith. AGAIN: What was the thought behind AGAIN magazine and Conciliar Press some 120 issues ago? Why start another publication? What were the goals? FP: That’s an easy one to answer. Purely and simply our goal was to have a publishing arm that would help teach our people what we were learning about the ancient Christian faith. The magazine started out as a tabloid-size newspaper—not many pages, maybe 16 or 24—and then later became more of a magazine, and if I remember right, we had two colors, then later four-color print. That was the pure and simple purpose behind the whole thing—to be able to put into print the things we were learning to better instruct our people in the midst of this journey. AGAIN: Some of the folks who were part of the journey in the early days aren’t a part of it now. Others appeared interested for a time, but dropped away. What happened? FP: It’s a sobering thing. A man who was very close to me personally stayed with us on the journey until we came to the place in our study where we saw that the Church viewed the bread and wine of Communion as the body and blood of Christ in a mystery. He simply could not handle that it was anything more than a symbol. So he took his leave in the late seventies. I remember a short time after that I was reading John 6, which is where Jesus teaches extensively that “unless you eat My flesh and drink My blood you have no life in you.” At the end of that chapter it says, “Many of His disciples left Him.” They simply couldn’t handle that bread and wine could be a mystery of the body and blood of Christ. I think that’s likely what was the situation here. Then others left over fear. Some who left us in the early eighties said, “If we become Orthodox they’re going to clip our wings, we can’t do Bible study, we can’t do evangelism,” and nothing could be further from the truth. Fast-forward now 21 years after we’ve been in the Church: we’ve brought out the Orthodox Study Bible New Testament and now just recently the full Old and New Testaments. We’ve added over a hundred churches to the archdiocese since we’ve come in, and seen probably thousands of people embrace the Orthodox faith. So if anything, rather than the Church clipping our wings, we’ve been working overtime with the blessing of our metropolitan and our other bishops to get this job done. So we’re gratified by all that God has done, and by the same token we’re very sorry there were those who left us. By the way, one other thing that will probably be encouraging to pastors and people. That is, Jesus had people leave Him, notably Judas and others. St. Peter lost Ananias and Sapphira. The last letter St. Paul ever wrote was 2 Timothy, and at the end of that book he says things like, “Demas has left me, having loved this present world,” “Alexander the Coppersmith did me much harm,” and then that really sad verse, “Only Luke [the apostle Luke] is with me.” So as he was under house arrest in Rome, Luke was there and that was about it; and though the vast majority of his disciples continued on faithfully, some had left him. It’s never a happy thing, but it’s seemingly the way life in the Church is. You win a lot of battles and you lose a few. AGAIN: If you had a time machine and could go back to 1978, what would you say to this group of 2,000 evangelicals who were moving toward Orthodoxy? If you were preaching to them, what encouragement would you offer? What warnings would you give them? FP: It’s impossible to look ahead, but in 1978, as I say, we were convinced that the Orthodox Church is that Church we read about in the New Testament. We simply encouraged each other to stay the course. There were things we had learned by ’78 that were fully Orthodox, and things we hadn’t yet learned. I would have to say this is the hardest thing for a modern-day Christian to understand: that the Church is not some kind of twenty-first–century holy democracy, it’s a theocracy. Things are to be done as St. Paul exhorted in Corinthians, “decently and in order.” We’re not a bunch of independent, isolated Lone Ranger Christians. And again I think that is the single hardest thing for a modern-day Christian to learn. AGAIN: Let’s go in the other direction. If you stepped into that time machine thirty years ago, returned to the present and spent a week worshipping, evangelizing, sharing in community life in the average Orthodox parish of today, what would your thoughts be on the return trip? Is this what you envisioned it would be in 1978? FP: Well, of course the answer is yes and no. Yes in the sense that in the Church we found those doctrines, those precious biblical truths we held dear, many of which we knew as Protestants, many of which we had to learn as Orthodox. But we hadn’t yet immersed ourselves, and I use this word advisedly, in the culture of the present-day Orthodox Church. It’s interesting the word “culture” comes from the Latin word cult or cultus, which means worship. What shocked us was the way the Orthodox worshipped. Sitting in 1978 looking out, we found the doctrine and the truths that we held dear, but we were blown away by the difference of the worship. Most every Christian views “normal” worship as what he or she is experiencing. Of course what we were experiencing in 1978 was a lot of spontaneity, very little sense of liturgy at that point, so consequently we felt that was normal. Then, when we opened the doors of the modern-day Orthodox Church and walked in, we were amazed at how intricate, how overwhelming the worship seemed to us, how ancient, how otherworldly—and that’s a good word, “otherworldly,” but that was the big thing we had to learn that we couldn’t have anticipated in 1978. AGAIN: What would you say are the greatest contributions of the EOC to Christianity at large today? To Orthodoxy? FP: It’s always hard to evaluate yourself, and in fact there are warnings both in the scripture and in secular writings against that. I would have to say the number one contribution that we made to Orthodoxy in particular, and to Christendom in general, would have to be the publication of the Orthodox Study Bible. It’s the first time ever that there has been an Orthodox English translation in print of the Septuagint version, the Greek version of the Old Testament, which is the version the Orthodox Church has always used and which is favored by some Christians who are not Orthodox. The text itself is a gift. The notes that accompany the text I think are a significant help to both Orthodox and non-Orthodox, and there are quite a number of people who have become Orthodox through reading the Orthodox Study Bible [New Testament, published in 1992]. A second thing we’ve been able to bring to the Orthodox Church is the spirit of evangelism. It’s interesting that in each of our Divine Liturgies on Sunday morning we pray for prophets, evangelists, teachers, martyrs, and so on. The gift of evangelism had largely been lost in the twentieth-century Orthodox Church. And now as we’re in the twenty-first century, that gift is being rediscovered. I honestly believe the reason it was in large part lost was the incredible persecution the Orthodox Church has been under, especially for the last 400 years or so, much of it by the Muslim Ottoman Turks, and more modernly by the communist regime in Russia, in which conservative estimates tell us probably 40 million Orthodox believers lost their lives. These things do not make a good context for aggressive, godly evangelism. Thus in our early days of being Orthodox, let’s say in the late 1980s, people would say, “Evangelism, that’s Protestant.” You never hear that anymore in the Orthodox Church, so I think the second gift would be the whole area of evangelism. Thirdly, I would say Bible teaching-oriented sermons. For a number of reasons—a lack of education of the clergy in some of the old countries; the threat of enemies being present in the church; and the whole phenomenon of immigrants trying to communicate effectively in a new world—these factors and probably others have contributed to preaching getting the short end of the stick. I think I see this changing now in the church of the twenty-first century; I think we’ve rediscovered the gift of preaching. I thank God for that. AGAIN: What mistakes were made along the way? If you had it all to do over again, what would you do differently? FP: I would say we probably were not good at communicating some of the things that we learned about Orthodoxy that were different from what we knew as Protestants. Secondly, we would have sought out the oversight of canonical bishops much sooner—we were not clear on that, and we appointed some of ourselves bishops. Yet I would have to say that had we not taken that move, we probably wouldn’t be in the Church today. St. Paul said, “We see through a glass darkly,” and if that’s true of that enlightened apostle, how much more is it true of a handful of ex-Campus Crusade guys who were trying to find their way to the Orthodox Church? Those would be a couple of areas that I’d say we could have done better, though honestly, we operated on the insight we had, and therefore I don’t see how we could have done these things much differently than we did do them. AGAIN: One more trip in the time machine. Let’s say you’ve traveled to the year 2038. What do you hope to see when you get out? What would be your greatest hope for the Orthodox Church in North America? Be realistic, but dream a little. FP: Well, I don’t say this to be funny. The greatest dream I could imagine would be to be seated with the saints at the right hand of God, the Lord having come and received us into His Holy Kingdom. I just can’t think of anything greater than that. 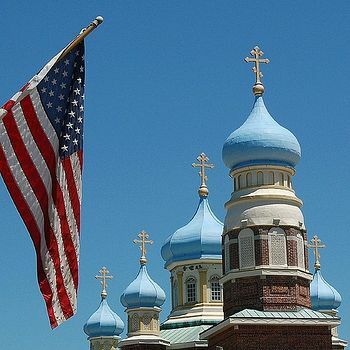 If the Lord tarries and does not return by 2038, I would first of all love to see the Orthodox Church worshipping in the language of America rather than the language of the mother countries. I fully understand the frustration of immigrants who get here and don’t know English. But the lion’s share of worship by then really needs to be in English, and not just for the sake of the Americans who aren’t Orthodox, but for the sake of the children of the Orthodox people who are clueless when it comes to the language of the mother country. That would be one thing. 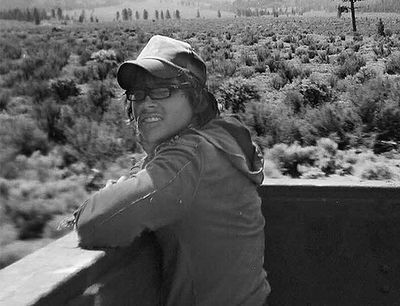 Secondly, I remember when we first discovered the Orthodox Church, before we were even in, and all six of my kids were at home, we’d go on family vacations—we’d drive, maybe on a two-lane highway, through several small towns, and then we’d get back on the freeway. We’d pull through a town and my kids would say, “Dad, there’s the Catholic church, there’s the Lutheran church, there’s the Methodist church, the Baptist, where on earth is the Orthodox church?” And I’d have to say, “Kids, we’re just starting out on the job of evangelizing here in America.” But you know, thirty years from now, if we could take that same trip, hopefully you wouldn’t have to ask that same question. That would be my goal for the year 2038: that not only would we expand in the cities we’re already present in, places like Pittsburgh, Philadelphia, Cleveland, and LA, but that we’d be able to have a number, maybe scores of churches in towns that no one’s ever heard of. We’ve done a few of those, and to be honest, they’ve done well, but we need to get out into the towns of 50,000 to 100,000 people where there’s no Orthodox church, and build communities and see them thrive. This would be my other dream for the year 2038. AGAIN: Years ago you wrote a book called Why We Haven’t Changed the World. Why didn’t the parachurch movement of the late sixties and seventies change the world? You left that movement in order to be a part of the movement to Orthodoxy. Do you think the Evangelical Orthodox movement has changed the world? FP: It wouldn’t have done anything, I don’t believe, had it not been received into the canonical Church. Because you can’t exist apart from the Church of Christ and His apostles and expect to thrive. Even then, “all that live godly in Christ will suffer persecution.” When I say “thrive,” I don’t mean a thrill a minute with the devil asleep, but rather that we’re out there in the battle, we win more than we lose. The reason the parachurch movements haven’t changed the world is that the gift of evangelism, as with all spiritual gifts, was a gift given to the Church. Any time you take a gift of the Spirit and try to put it to work outside the care and covering of the Church, you run into difficulty. We all remember back to some of the weird stuff that happened in the charismatic movement, some of the excesses, in the seventies and the years that followed. Also in the area of evangelism. In our parachurch days we were as committed to evangelism as any group of men I know. But if you remember back to the seventies, as we and so many others were out there trying to evangelize, the world not only didn’t get better, it got worse—it became less Christian. What we were doing was like the guy who runs around town fathering children and just leaving them on people’s doorsteps. The norm is for the local parish to engage in evangelism, and then the fruit of that work becomes a part of the parish. In the parachurch scheme of things you don’t have that. I would say again, 21 years after we have become Orthodox, we don’t see the great numbers of decisions for Christ on the front end that we did back in our parachurch days, because that’s all we did. It just isn’t very hard to get a college kid to pray a prayer to give his life to Christ. We had them by the thousands. But here I am, all these years later. I love my days in Campus Crusade, but I’m only in touch with a handful of those people (and thank God for those who did go on). But now, operating as an Orthodox parish, while we don’t see the front end numbers, we see an incredibly better rate of the fruit remaining than we did in those parachurch days. So percentage-wise, we’re way ahead, though numerically we don’t see the volume of those initial decisions. Of course also as Orthodox we tend not to count decisions, we count disciples. Again, you can get a person to pray a prayer, and I’m not the judge of whether that prayer is sincere or not—but what I’m really looking for today is not who started the race, but who’s finishing the race. To me that’s crucial. AGAIN: Do you think anything like what happened in the seventies will ever happen again? Do you see any chance for a group of Christians to come alive to Orthodoxy and to pursue it all the way to the finish line? FP: I do. I say to people, we’ve learned how to bring individuals into the Church, we’ve learned how to bring families into the Church, we’ve learned how to bring entire non-Orthodox parishes into the Church, we’ve brought one denomination in (that’s ours, the Evangelical Orthodox Church), and I look to the day when we begin to bring other denominations in. But so far that hasn’t happened. I was just talking to an Orthodox priest in the Midwest today who had just been invited by a group of traditional pastors within a fairly liberal denomination to come and work with them. They were writing a manifesto to their denomination, saying, “These things have got to change or we’re gone.” This is happening more and more. You’re probably aware that one entire diocese of the Episcopal Church has pulled out, and two or three others, I’m told, are in the wings ready to pull out. So it may be that before we bring a denomination in, perhaps we can bring in a diocese or some other body, and then work toward the day when an entire denomination will come. A hundred years ago, a lot of people, both in the Episcopal Church and in the Orthodox Church, thought that a natural marriage would be the Episcopal Church in the US with the Orthodox Church. Men like St. Tikhon were at the forefront of this movement. But with the Episcopal Church today moving further and further away from the apostolic faith we read about in the New Testament, probably that dream is more of a nightmare, and it won’t happen. Out there, both within some of these huge denominations and also within the newer communions and the independent churches, there are so many people who are biblically oriented, who are Christ-centered, whose hearts are given toward outreach and help for the poor and so on. These are the people we’re picking up today, and I’m very thankful for that, but I really hope there will be again more than one larger body of churches that will come and be a part of the Orthodox Church. AGAIN: You cited as an example a couple of Episcopal dioceses that are leaving the Episcopal Church. Have these shown any indication that they are seriously considering entering the Orthodox fold? FP: I would say not at this point. If I’m correct, they are struggling to find out just exactly what to do. Sometimes they look overseas, for example to Anglican bishops in Africa, as a possible place where they could come and live under their oversight. I have written one of these diocesan bishops who’s left and offered to be of help, but to date have not received an answer, which doesn’t surprise me. I’ll stay available and see if perhaps something doesn’t happen down the line. AGAIN: What would you like to add to this interview? What final words would you like to say to the contemporary readers of AGAIN magazine? FP: First, I’d like to say thanks for your support over the years. It’s really been gratifying that a magazine that started to serve basically a small group of pilgrims is now reaching out not only to hundreds and hundreds of Orthodox here and throughout the world, but also to a fairly large segment of subscribers who are not yet Orthodox, and we’re grateful for that. Secondly, take heart. God is continuing to bring people into His Holy Church. I would like to see more non-believers come and be converted to Christ within the Orthodox Church—that seems to be picking up, albeit slowly. Besides that, I would just add one thing. Over the years non-Orthodox people have asked me, as they’re considering becoming a part of the Church, do the Orthodox people really mean it? Are they really sold out to this Orthodox faith, or are they simply Orthodox because their parents and grandparents were? Of course that’s for each Orthodox Christian to answer for himself or herself. I would say the greatest favor we can do to help those who are not Orthodox is to fully live this spiritual life. Instead of nominal Christians who worship God when it’s convenient, we need to be people who pull out all the stops and, as we say at the end of our great litany, to commit ourselves and each other and all our life to Christ our God. 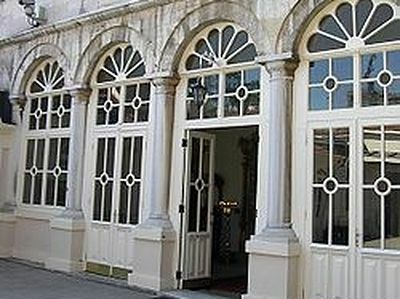 That is the date and feast day that the Ecumenical Patriarchate and its Holy and Sacred Synod of Bishops chose to refuse an audience with the party of 18 Evangelical Orthodox Christians whose 12 year journey to the One, Holy, Catholic and Apostolic Church led them to the Church of St. George at the Phanar, Istanbul, Turkey. Some of the details of this journey have been chronicled by Father Peter Gillquist in his book “Becoming Orthodox". I am one of those who "dropped away" in 1979, because of the abusive extreme control of people's lives by those self-appointed "bishops" and the blasphemous self-aggrandizing statements by one of them. They told us that they alone were smart enought to tell us what to do, and yet I am aware among those who stayed of several divorces of what I suppose were "approved" marraiges.